Thanks to my sister’s membership at The Metropolitan Museum of Art, we were able to get a sneak peek this afternoon into the upcoming exhibition of the famous Stein Collection! It is an extraordinary array of paintings (including Picasso, Renoir, Matisse, Toulouse-Laurec, Cezanne) that showcases the passion the Stein family developed for the arts as well as learning about the close relationships this famous family had with these struggling artists during their time in Paris over the early 1900s. I secretly took this picture during my trip at the museum today! 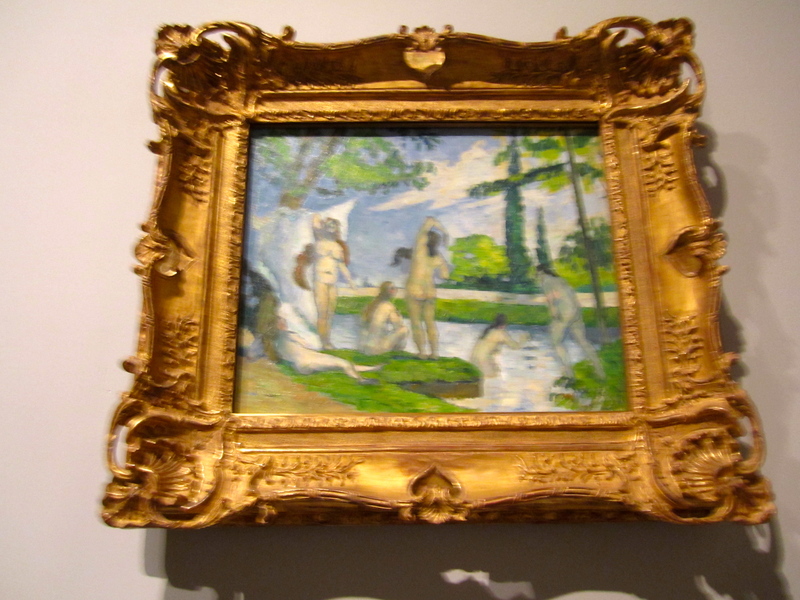 Specifically, what drew people into Cezanne’s work was his use of the color green as well as his very defined diagonal movements of the paint brush for this painting along with most of his other works. The formal exhibition begins this Tuesday, February 28. Find our more on the Metropolitan Museum of Art website!